Eye care is more than simply seeing well. A majority of your life is experienced through sight, and proper eye care is crucial because we want you to live your best life! 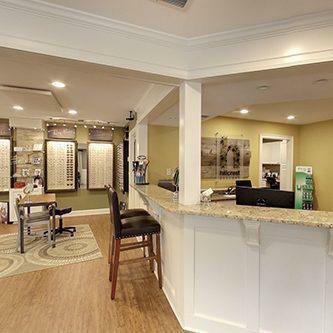 Because we know how inconvenient and unpleasant eye doctor visits can be, our goal has been to remove any obstacles between you and getting the best care possible. we provide optimized care to help you maintain great vision long into the later years of your life. ReVision specializes in two areas of care: children’s eye care and the management of eye diseases which affect our aging population. Eighty percent of children’s learning is through their eyesight. If visual function is impaired, learning is adversely impacted, often leading to symptoms of ADD/ADHD, simply because schoolwork causes visual discomfort and makes children struggle overall. ReVision recommends that all children have a thorough vision and eye health evaluation by their optometrist before beginning kindergarten. Secondly, ReVision empowers our aging population to manage eye diseases. As more Baby Boomers retire, medical care—especially medical eye care—is becoming increasingly important. Our doctors have a wealth of experience managing many of the diseases that affect our eyes as we age—glaucoma, cataracts, diabetes, and macular degeneration, to name a few. As your eye doctors, we have invested in the most modern technology at ReVision to facilitate an early diagnosis and treatment of these conditions. This type of specialized care is offered by a very limited number of practices in the entire state of South Carolina. Many eye diseases and conditions that have an impact on your vision are not obvious and require eyecare professionals to understand how the eye works to identify conditions and diseases that can impact your vision. By isolating risk factors that influence vision over time, we can advise you on the best solutions available, including eyeglasses, contact lenses, or surgery, and how each path will empower you to live your best life.